‘Do It For Real.’ This, according to Flo Heiss, partner and creative director at the London-based interactive marketing agency Dare Digital, is one of the seven crucial ways ‘To Make Digital Your Bestest Friend’. (The others are: ‘Be Useful. Be Engaging. Be Entertaining. Make It Unfinished. Be Honest. Give Up Control.’) This is not, however, a call to throw away computers and start from scratch, but a realisation that engaging with real things and real people is more satisfying than being chained to a screen and keyboard. Top: Still from Fallon’s ‘Balls’ for Sony Bravia television. 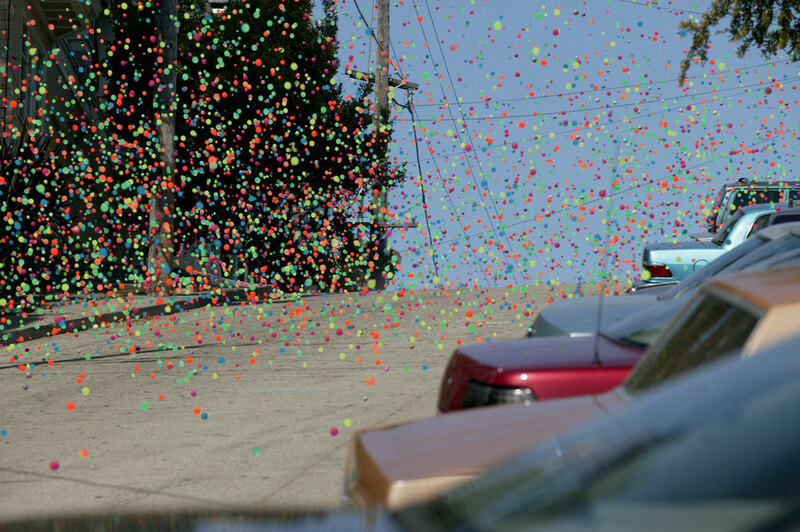 The agency bounced 250,000 coloured balls down a hill in San Francisco. (50 students on rollerskates had to pick them all up). The big agencies have latched on to this approach with vigour: Fallon’s extravagant campaigns for Sony Bravia – incorporating animated Play-Doh rabbits, or thousands of bouncing balls – or the full-size Skoda cake, for example. Model-makers are suddenly in demand. Chrissie Macdonald has been working with Praline on their imaginative brochures and ads for Central Saint Martins, and with Fallon on the highly visible (and often risible) ‘I am’ campaign for Orange. Dan McPharlin’s meticulous models of electronic equipment have attracted designers: Chris Bigg used some of the Australian artist’s structures to illustrate Steve Jansen’s album Slope (Samadhisound, 2007); and the May 2008 cover of Wallpaper* magazine featured an elaborate McPharlin machine that churned out 3D letters. 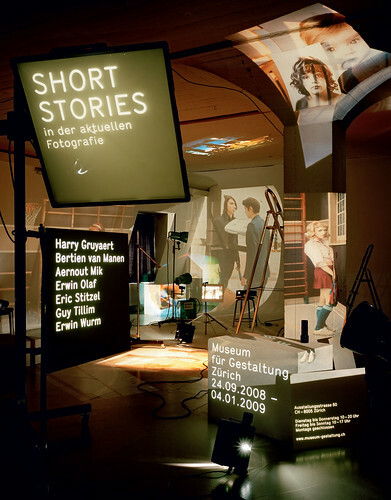 Poster (2008) for Zurich’s Museum für Gestaltung by Elektrosmog and photographer Oliver Lang. They used twelve slide projectors, with an image by each photographer in the show, to create a 3D ‘collage’. Monolithic global ad agency networks are only slowly getting to grips with this new model. For West, the solution is: ‘Small and clever. The great ad agencies doing brilliant innovative work tend to be small groups of clever people working in partnership.’ Above all, the solution is not in endless research and testing and focus groups. Poster for the Make Believe photography festival in Bienne, Switzerland, by Barbara Ehrbar’s Swiss studio Superbüro, 2008. 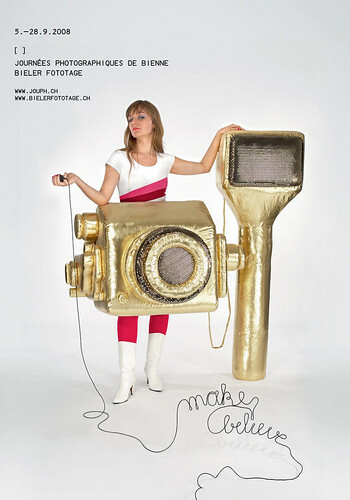 Two young women wearing giant camera costumes walked around the major Swiss cities distributing flyers to promote the festival. Most of the television ads that still provide topics of conversation around water coolers have one thing in common: a hefty dose of ‘reality’. Fallon made sure that real coloured balls and real paint were tossed around in the cause of Sony Bravia; and Wieden & Kennedy went to enormous lengths not just to create real events for Honda but also to distribute a ‘making of’ DVD to prove it. 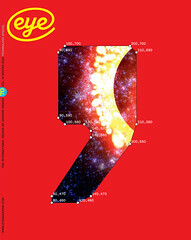 The 2003 ‘Cog’ campaign appeared to be inspired in part by Peter Fischli and David Weiss’s 1987 film The Way Things Go, recreating its essence in car parts. It is generally accepted that the ad break in television schedules cannot last much longer; the traditional idea, of shouting product names and benefits, is certainly dead (even if it refuses to admit it). Taking well publicised risks is the only way to ensure a decent-sized and receptive audience. Honda – again – achieved this with a recent live commercial featuring sky-divers. For brands looking to get people talking about their products without the inconvenience of multi-million production and media budgets, the internet is tempting: when it all comes together perfectly your audience provides the distribution medium, and you chalk up viewing figures that broadcast channels would find impossible to match. 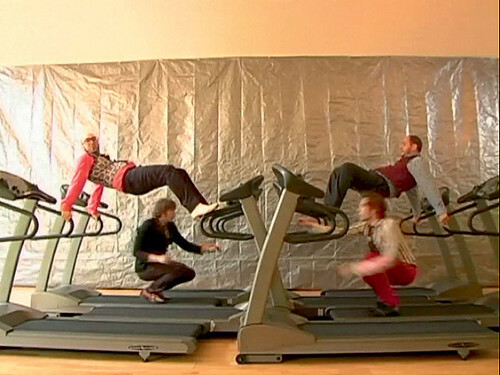 (The band OK Go clocked up 41†million hits on YouTube with their rather wonderful gym treadmill video.) Given the speed and depth of this change it is hardly surprising that enterprising brands are cutting out the ad agency, and broadcast media altogether, and working with small independent companies to produce virals that exist only online. Robinson runs through the history of broadcast in a few dismissive sentences: a 50-year monopoly of ‘dramas based on a pretty theatrical aesthetic’, then reality TV, ‘which felt like a breath of fresh air, but was still heavily edited and manipulated’. Now there is the internet: ‘A direct window on the world. There’s no real filter between the audience and what’s on screen. So they trust it more; it’s how the world really is. 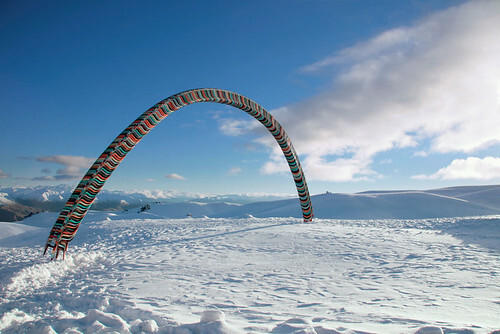 The Glue Society in Australia concocted an extraordinarily elaborate campaign for 42 Below vodka, building giant sculptures of chairs in the Antarctic. This resulted in some arresting high-resolution images, but half the fun comes from watching how it was done, in the YouTube videos. The simple message may be that the audience appreciates effort, skill and hard work. People have always made and used tools; part of the skill is in knowing, and using, the right tool. Take the paper models and animated lettering that Montreal-based designer Julien Vallee constructs for clients such as MTV and The New York Times. Or, with a completely different process and aesthetic, the elaborate long-exposure, in-camera poster that Swiss studio Elektrosmog made for a current show at the Museum fur Gestaltung in Zurich. Richard Sennett’s recent book The Craftsman argues that there is a craftsman in all of us, and this can be motivating and inspiring. In much the same way, rediscovering paper models, etching, linocuts, letterpress, casting from the street, and preferring in-camera effects to post-production is either symptomatic of a genuine trend, or, more simply and probably more likely, evidence of the natural ebb and flow of change. Creativity just cannot stand still. Perhaps a different, maybe older, technology, can bridge the gaps that computer technology inevitably creates; gaps that specifically need to be addressed as part of the education process. Steve Rigley argued (Eye no. 57 vol. 15) that the ‘computer presents a new and artificial arrangement of distances: between the hand and the eye; the screen and the object; the object and the means of production’. This was said in the context of praising the value of letterpress, particularly in an educational environment. This is also partly what Catherine Dixon proposed with the ‘letterpress celebration day’ at the St Bride Library in London in November 2008. Dixon, who notes a ‘genuine excitement and growing interest in letterpress’, has always insisted on teaching its fundamentals to first-year students: ‘Its physicality and modularity inform the digital designer; space becomes a positive presence and takes on a slightly different meaning.’ In other words, it ‘stops type floating around on the screen’. Frame from the Grammy-winning ‘Treadmill’ video for OK Go’s song ‘Here It Goes Again’, choreographed by Trish Sie, directed by Sie and the band, and released via YouTube in 2006. Seventeen attempts were needed to film it in one unedited take.